Iorbee Nomor Victor, has made his family and Benue State proud after he bagged first class in Economics from Federal University Dutse. 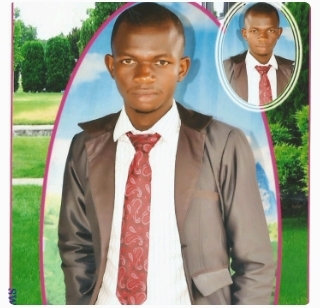 The Konshisha born scholar attributed his academic skyrocketing height to God and a wonderful experience from College of Education Katsina-Ala where he was immune to “Gunshot test”, subjected to rigorous training and many draconian rules. Relating on how he came out with first class, Nomor disclosed “nobody is not a born genius but being industrious not only pay but pays” and sequel to the quantitative nature of economics, I read a lot with my classmates, share my little knowledge and enjoy learning from each other. On his social life he said “I have friends and relate with church members and many others without prejudice to religion also I love watching classical football when there is need”. Nomor Victor has just completed his one year national service (NYSC) on 21/12/2017 with Federal University Birnin Kebbi. What is your advice to our upcoming students? There is strong positive correlation between God and studies. As such, students should not be carried away with studies or religious (Church) activities only but should marry the duo. What is your plan for future/ Master’s Degree? I still hope on to God for any appropriate time especially when I have access to the means and resources for it.